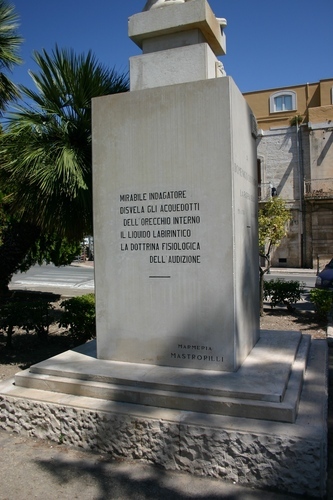 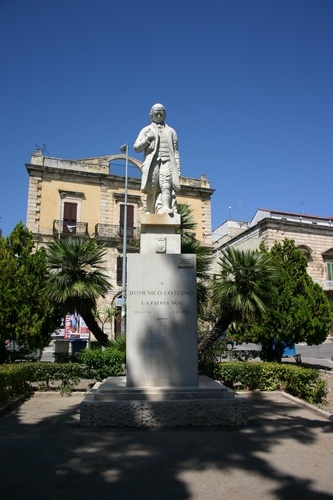 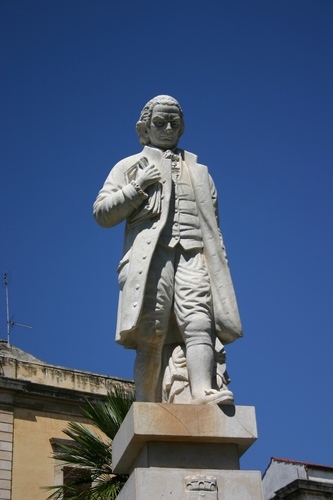 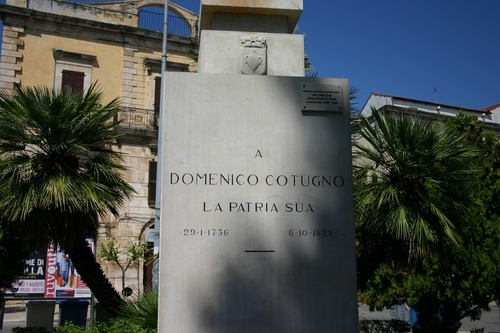 This marble momument of Domenico Cotugno was made in 1961 by Italian sculptor Giuseppe Pellegrini and can be seen in Ruvo di Puglia (Piazza Cavallotti), Cotugno's hometown. 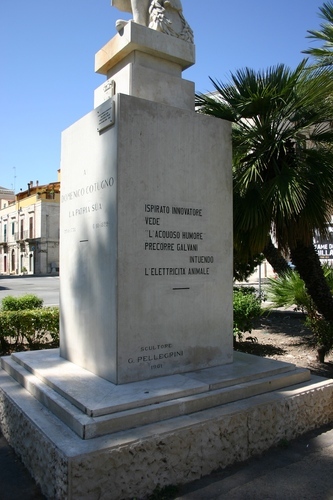 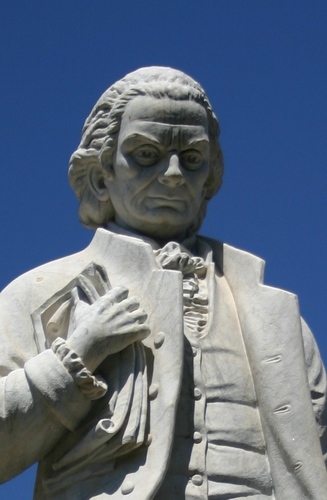 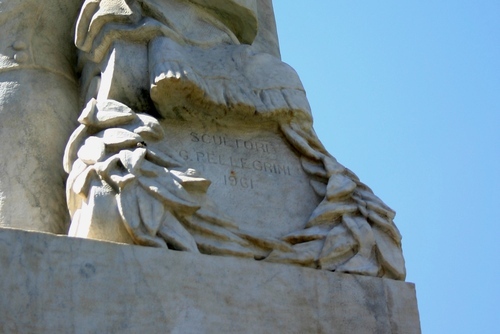 On the basament, three inscriptions remember the main contributions Cotugno gave to medicine and science. 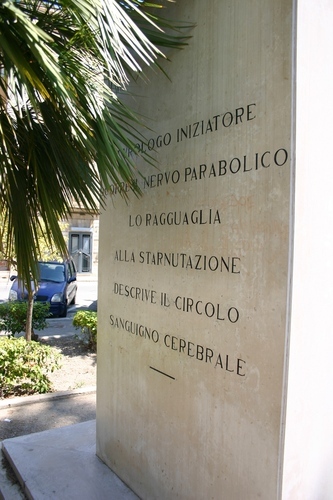 Photos by Luca Borghi ti.supmacinu|ihgrob.l#| (August 2012).